There is something about the look in a horse's eye, that special look that just reveals his heart and soul. 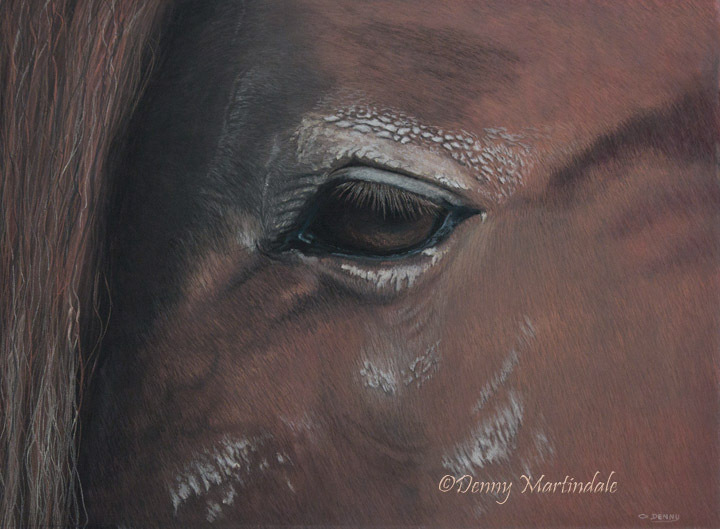 This particular pastel painting is of my own Tennessee Walking Horse, Master, after I brushed him one day. He went and rolled in the mud and ran back as if to say, 'Brush me again!'. I just loved the look and by the time I was able to grab the camera, the mud had dried, so I just left it on. I guess he really is showing his true colors.